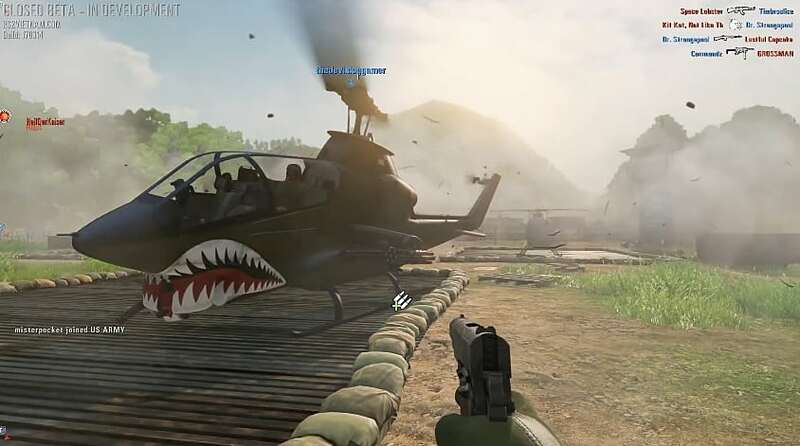 My very first moments of Tripwire Interactive's Rising Storm 2: Vietnam involved crashing out of the sky because our squad's pilot had absolutely now clue how to fly a helicopter. Don't let that same thing happen to you! Unfortunately the tutorials for air combat aren't quite cooked up and ready for serving just yet. 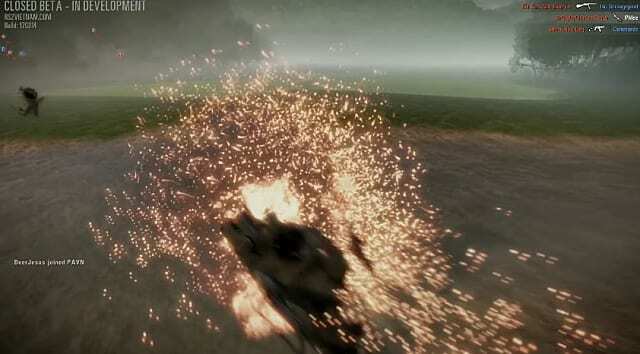 So that's where we come in, sharing our knowledge through a whole lot of trial and error (and crashing explosions). 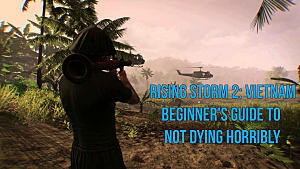 Looking for tips on how to stay alive on the ground instead? 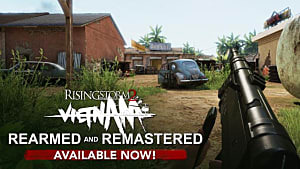 We've got you covered with our beginner's guide to surviving in Rising Storm 2: Vietnam. Many new pilots in Vietnam don't even survive the stressful take-off process! When you have no idea what button does what, it's a common problem. If all you want is a cheat sheet, the table below breaks down all the controls and what they do. But keep reading for more in-depth advice that will keep you off the ground unless you really want to be there. Space (Hold) Gain and rise off the ground. W, A, S, D Move according to cardinal directions. G Stabilize to hover in place. T Toggles passenger/crew list and shows the state of all objectives. Shift Zoom in on gunner or pilot positions while firing missiles. Middle Mouse Switch from missiles to machine guns. To get flying, press and hold Space until the white Gain meter reaches the top of the gauge, then tap W to move forward. Make sure you have enough lift to clear anything nearby, as there's a slight dip when you first start moving forward. It's easy to crash into the tops of tents or other obstacles immediately after take off. While you are in the air, the standard ground movement keys tilt you in different cardinal directions. There's one important exception: the G key is to stabilize the helicopter to hover in place. This is critical to turning around and landing! 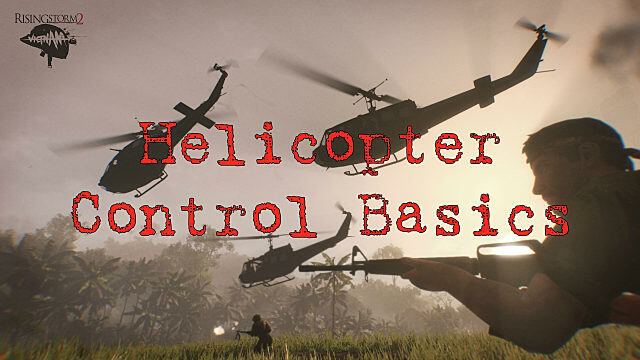 There are a few different types of helicopters for attacking, transport, and scouting, and they all handle a little differently. 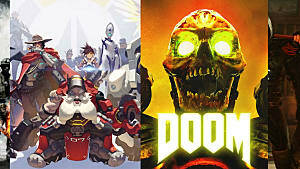 Playing them is the best way to figure out the differences. But most importantly for any helicopter, go gently on the W, A, S, D keys when first piloting, as it's incredibly easy to tilt over too far and too quickly, then end up crashing. Yes, you should be afraid -- and yes, she does bite! 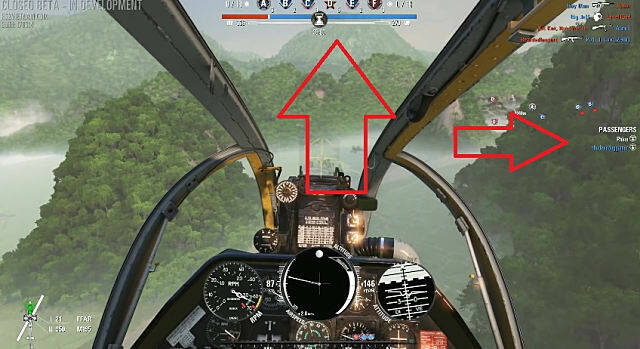 Although air strikes and strafing machine gun fire are critical to winning a map, keep in mind that air vehicles aren't just for attacking. You can use them to spot enemy tunnels and movement locations. Before attacking, always pay attention to the state of each A, B, C, D, E, and F objective -- because it's easy to take out your own side. Tapping the T key toggles the passenger/crew list on the right side of the screen and the state of all objectives at the top of the screen. This is a handy way to see what's up across the whole map and where you should be attacking without having to pull up the separate map screen, which takes up a huge portion of the monitor and may result you in unexpectedly crashing while perusing the layout of the land. Use the Shift key to zoom in on either the gunner position or the pilot position while firing missiles. The middle mouse key switches from missiles to the machine gun. On missile runs, try to line yourself up straight with where you are aiming. This definitely takes practice -- but even if you horribly miss the enemy, you will more than likely still inflict the Suppressed attribute on them. No matter what kind of air assault you are undertaking, communication is absolutely key. 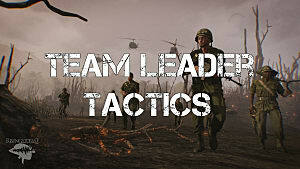 Talk to your teammates before you begin a strafing run. They know where they need assistance and where they need you to stay away. Ground-based missile installations (not the hand-held RPGs) are radar guided, and at this point there's no countermeasures like flares. It's not clear if that will change at the full release, but for now it means dodging missiles is a no go. In most cases when you hear the missile alert indicator, you are going to die. You can avoid them if you're lucky by quickly going extremely low to the ground (under 75 meters or so) and trying to maneuver around an obstacle for the missile to strike. But it's a gamble, as you'll probably end up crashing anyway. Yeah, I didn't make it out of range in time. 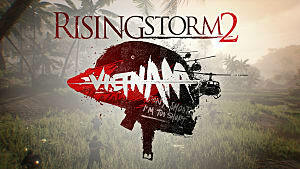 Those are the basic Rising Storm 2: Vietnam controls you need to know to stay alive and get your troops around the map. Let us know if you have any other helicopter tips or tricks to share! 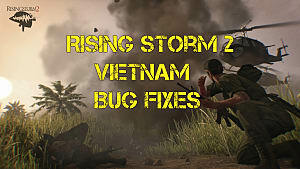 And be sure to check out our beta impressions of Rising Storm 2 to get a better idea of what you can expect from the whole game.